You get creative. And that is exactly what UConn ecology and evolutionary biology researchers James Mickley '18 Ph.D. and Timothy Moore '18 Ph.D. have done. 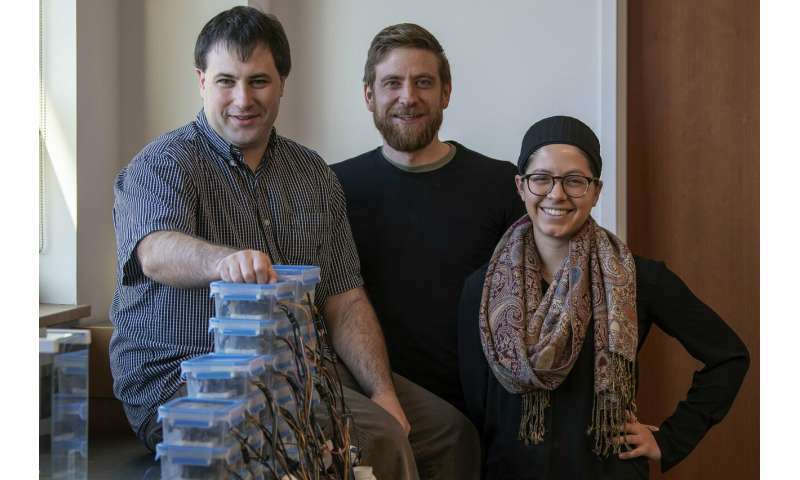 Their article about the tools they developed for getting their research done has been published recently in Methods in Ecology and Evolution. They set about building their own sensors, and acquiring some new skills in their spare time, all while finishing up their Ph.D.s. 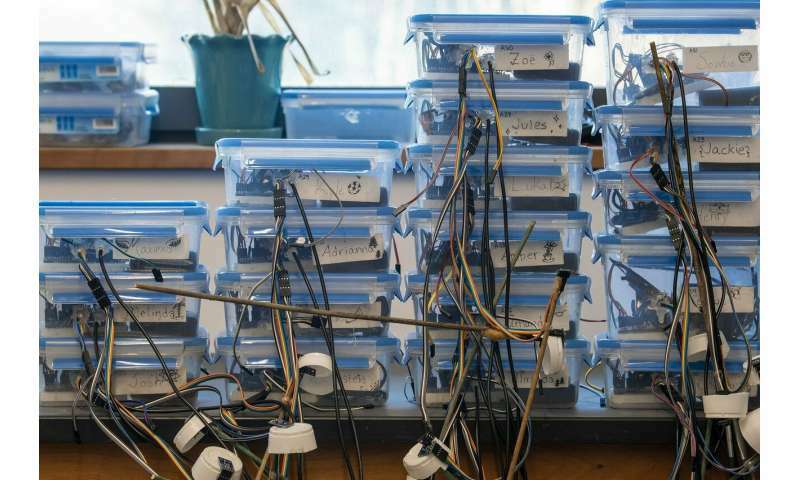 After trial, error, soldering, and tinkering, Moore, Mickley, and a team of undergraduates including Amber DeRobertis '18 (CLAS), Emilia Pfisterer '16 (CLAS), and Emma Saavedra '19 (CLAS), produced a small army of fully functional sensors, each costing under $20. They have since deployed and are using the sensors – which they've named Environmental Microcontroller Units, or EMUs – to collect data for their research. Moore conducts research on the impact of climate on plants in South Africa. He plans to deploy EMUs to investigate the role of microenvironmental variation in shaping where plants do and don't live. Outside of his fieldwork, he even has a unit measuring data from his house, and points to a graph on his computer screen with data from the previous day, where, by looking at temperature data, he can tell exactly what time he got home. Moore says the work happening in Connecticut is serving as a large-scale proving ground for the sensors. "We need this data, because we need to understand the climatic conditions that are provoking responses in the state's ecosystems." In addition to the inventors' own research, several colleagues are already using EMUs in their research. "The possibilities are endless," Mickley says. The researchers have made it as easy as possible to duplicate their methods, by providing a parts list, complete with notes for components, and detailed videos produced by DeRobertis showing how to construct an EMU. Citizen scientists can immerse themselves by building the units, coding, deploying, monitoring, and even sharing their data. With readily accessible, inexpensive sensors available, it is now possible to collect the fine-scale data the researchers originally sought. The versatility and low cost are key. "There are so many different ways these can be customized," says Moore. "EMUs can help answer a lot of questions."